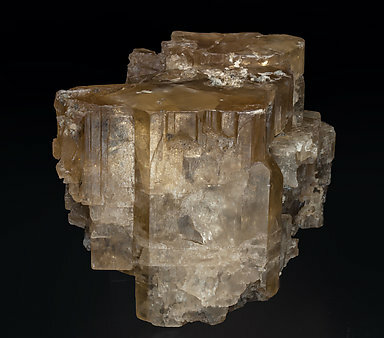 Floater crystals with very well defined parallel growths, doubly terminated, with pinacoidal terminal faces, translucent, bright and with a brown color. An excellent Italian classic. 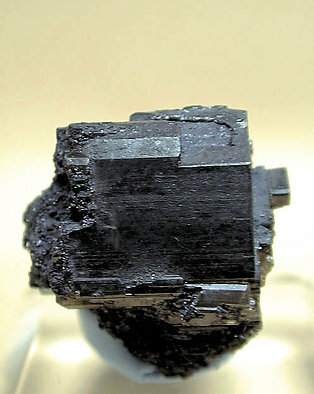 A famous classic, this Phosgenite is a little bit darker than usual, but the crystal is doubly terminated, pretty sharp and well placed on minor Galena matrix. Parallel floater group of tabular crystals with very well developed pinacoidal faces. The prism faces are very thin. They are translucent and have and excellent color and luster. A classic among classics. Parallel growth of partially doubly terminated crystals consisting of two very elongated prisms and the terminal pinacoid. 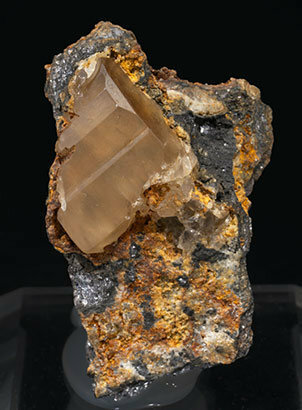 The crystals are translucent, bright and with a brown color. Excellent Italian classic. As in so many specimens in this collection, the sample is of great quality for the locality. Excellent parallel growth of doubly terminated crystals with very well defined flat pinacoidal terminations. Translucent and bright, they have a nice pale cream color. 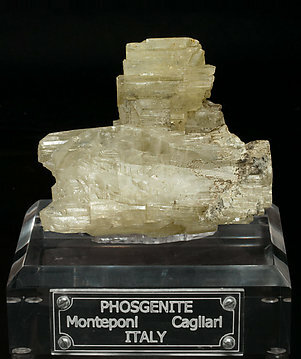 Phosgenite crystal with excellent transparency, color and luster, and with well defined prism and terminal faces. 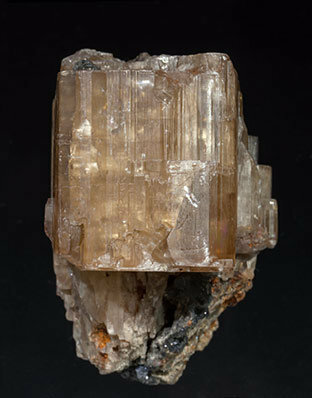 Some upper faces show totally natural corroded structures, but the crystal is totally undamaged. 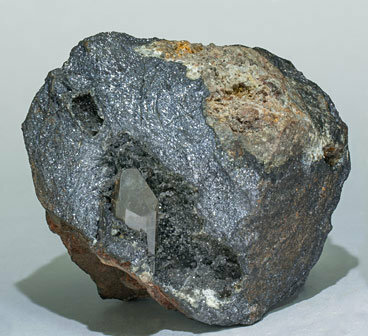 A rare acute crystal, very rich in faces, extraordinarily transparent and bright, with a very deep and uniform color and on matrix, with grainy Galena and Calcite, and with small powdery red Cinnabar aggregates. An excellent Italian classic, of great quality. 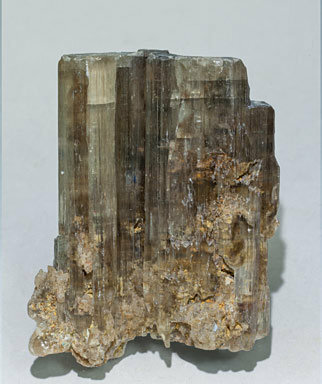 Group of very sharp crystals with clear terminations. The crystals are exceptionally transparent for the species and we note their luster and color. 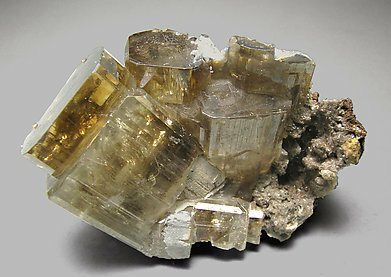 The group is on matrix with small crystals of Cerussite also partially covering some faces of the Phosgenite crystals. Very good esthetics. Partially doubly terminated Phosgenite crystal with the very well defined prismatic and pinacoidal forms. 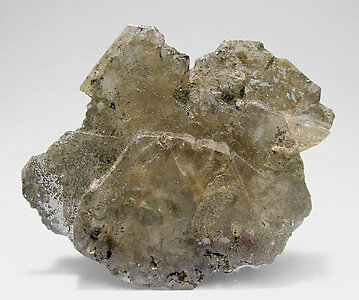 It is translucent, has a pale brown color and it is on a matrix of granular Galena. A good European classic. 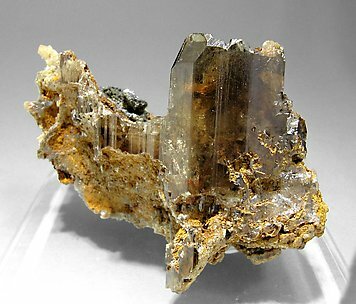 Doubly terminated prismatic crystal on matrix, with very well developed faces and edges, parallel growths on the prism and a hoppered terminal pinacoid. The crystal is translucent and has an excellent color. Its esthetic position on the matrix enhances its visual appeal. As is the case with so many specimens in this collection, in this case a great Italian classic, the sample is of great quality for the locality.